A bit of a teaser for this Bulletin’s introduction to our feature article. 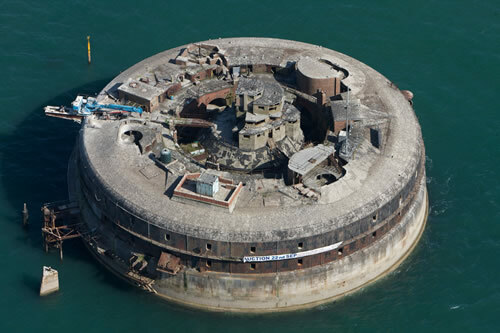 Here we have Horse Sand Fort – one of the largest of four off-shore man made island defences to protect Portsmouth and mainland Britain against the French in 1880. A few years back, the owner of this old structure at Horse Sand also bought the neighbouring fort. 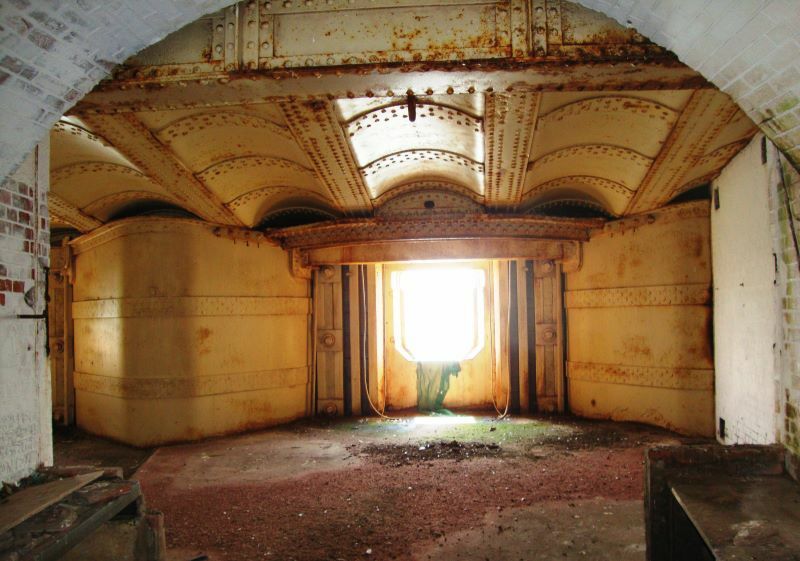 He has managed to execute a genuinely stunning renovation at his jewel-in-the-crown effort over at the nearby Spitbank Fort. It was hoped that this property, Horse Sand Fort would also be in for a major restoration by the gentleman. Sadly no. This edition we start with a cheap and cheerful church building. 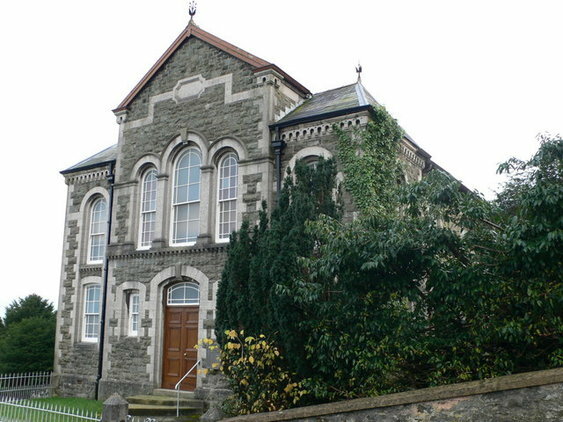 Former Methodist Chapel which ceased to be used as a place of worship many years ago. Planning was granted for change of use to residential around 2006. This consent has now lapsed. Interested parties should make their own enquiries to the Local Authority regarding the possibility of this planning permission being reinstated. Important note: some of the floors inside the building are in a poor condition and anybody viewing will do so at their own risk. 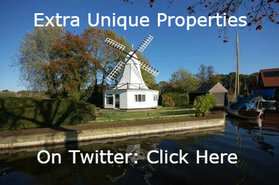 PLEASE CAN READERS DOUBLE CHECK ANY GIVEN PROPERTY IS STILL FOR SALE PRIOR TO MAKING A JOURNEY TO INSPECT. MANY THANKS. Contact: Brown & Co., Auctions: 01553 770771. 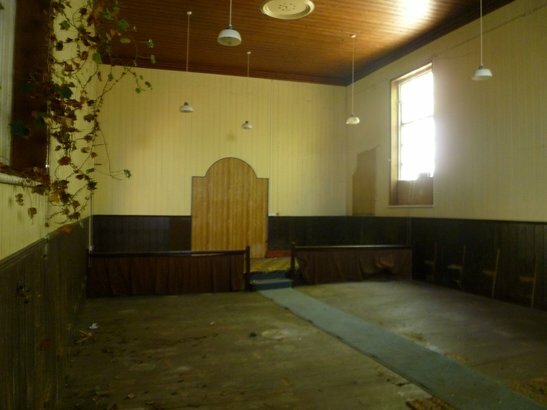 Please can folk let the auctioneer know they found this old church for sale in the Unique Property Bulletin. Many thanks. We ask: Could this be a home for a houseboat? Just wondering, has anyone enquired what would happen if the eventual owner of this small lake were to place a houseboat on the water? 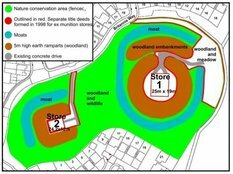 Seemingly off topic, the first edition of the new Grand Design’s series a few days ago showed a piece of woodland that had over a dozen tree protection orders on it and upon which the planning authority said they would definitely NOT be given any planning permission for a home. Yet with perseverance, that is exactly what happened. 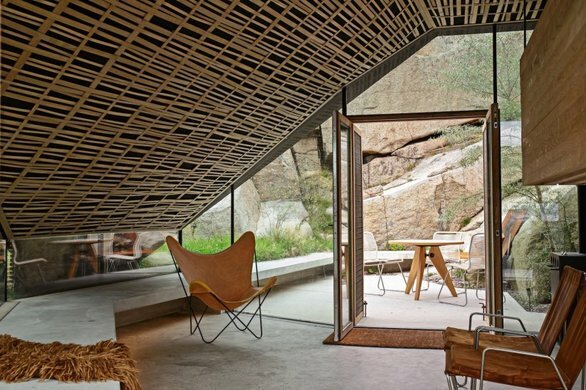 A remarkable treehouse was built when everyone said it couldn’t. Pretty impressive at that (here). Surely this is something that would lift the area rather than detract from it? 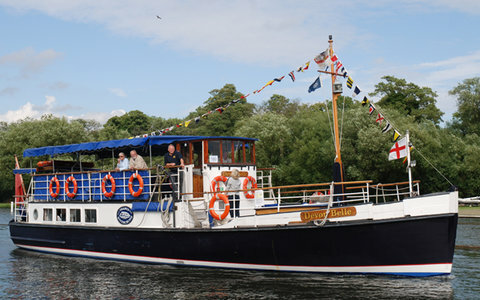 We have picked the Little Ship of Dunkirk vessel above as an example. 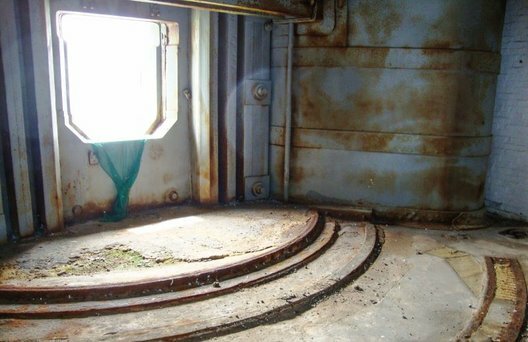 These particular vessels have an incredible history (here). There are of course thousands of beautiful little ships from many backgrounds that could grace this water at Ingersley Mill. 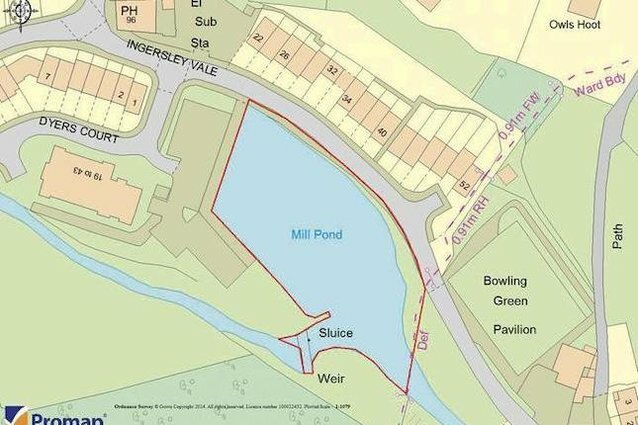 If you live in Cheshire and end up buying this small lake, please let us know how you get on (here). Thanks. Guide: £ – No reserve. 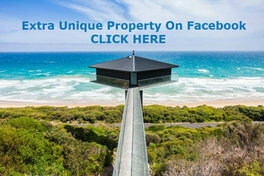 This freehold land with lake over it goes to the highest bidder. Contact: Click Here. 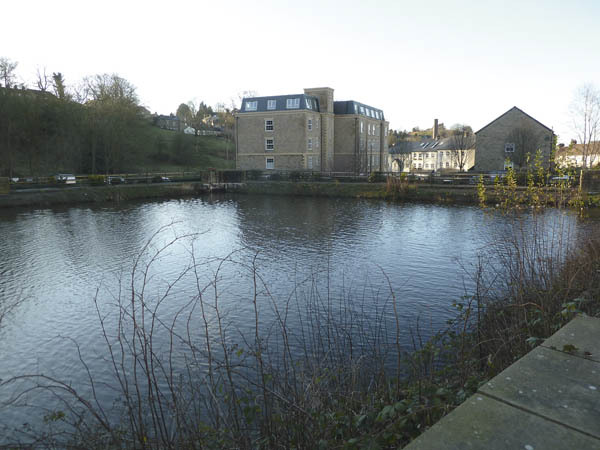 For this freehold lake, please can folk make first approach via Unique Property Bulletin. We are then able to demonstrate to the estate agents selling each property that our not-for-profit websites help their clients, and in so doing can encourage them to support the Bulletin. We monitor our email inbox at least three times per day, so will make the introduction for you promptly. By helping us this way, we can continue to help you. A virtuous circle. We have a soft spot for old coastguard buildings. It was in one of these structures we renovated 30 years ago that Unique Property Bulletin was born. You’ll need to be very quick to bid on this. Likely the auction will be over by the time you read these details. 1] Check with the auction that the deal actually went through. We have experienced a buyer who bid at auction for one of our buildings – he put a large deposit down. Then couldn’t raise the rest of the money and walked away. So it aint over until the full price has been paid. You may find your persistence pays off. 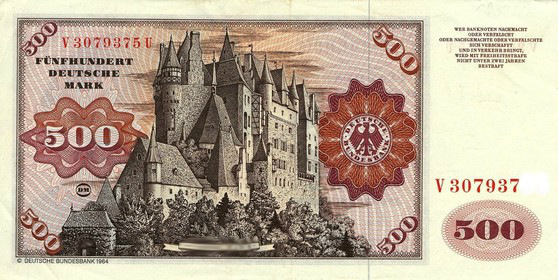 2] Even if this has sold and been conveyed to a new owner, it may well come up for sale again. The new owner sells within a short while after they buy. Just recall Cantick Head – that came back up for resale 365 days after the buyer completed. Alternatively the new owner may consider a quick resale if the secure a modest margin of profit. That sort of deal does happen. 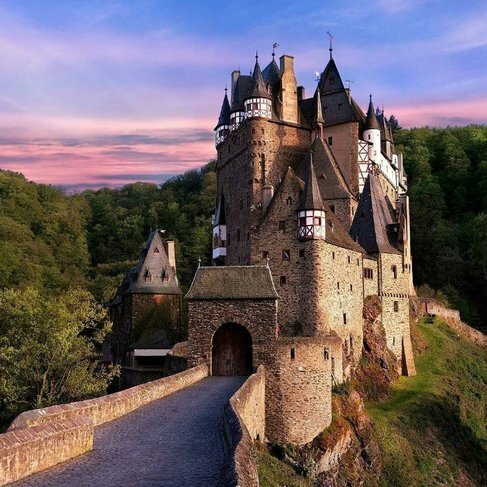 Finally, it is a natural phenomenon that most buildings to come back up for sale – eventually. Either once they have been developed into a residential property, or if/when the owner decides it is time to move on. So keep your eyes on this whatever happens at the auction. Of course, if it fails to sell on the day, you are in a very good bargaining position. 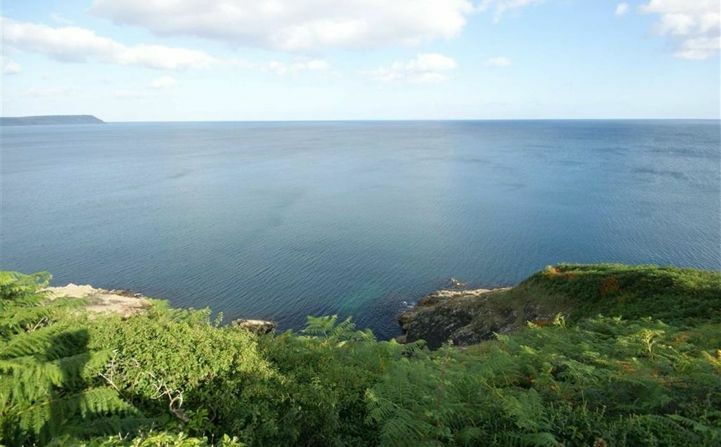 Description: A former coastguard lookout station and about 1.66 acres of coastal land. The attractive historic fishing village of Portloe is a small coastal port with a harbour, hotel and public house. The Former Coastguard Lookout Station and coastal slope/cliffs is situated to the east of the village and can be accessed from the South West Coastal Footpath. 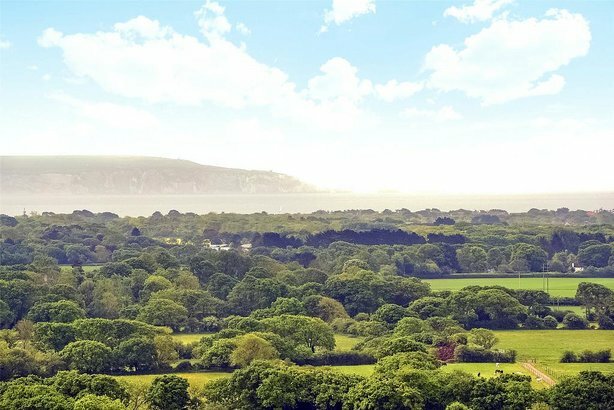 The village of Veryan is about 1.5 miles to the north-west, the larger village of Tregony is about 4.5 miles to the north and the cathedral city of Truro is about 12 miles to the north-west. 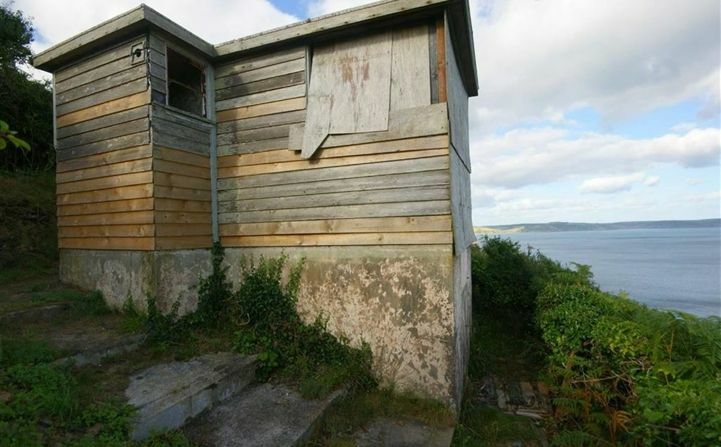 The Former Coastguard Lookout Hut about 11’8 x 7’8 is on a concrete base and comprises in the main a single room. It is believed to have been constructed in the early 1950s and offers potential for a studio or grand chalet subject to all necessary consents and approvals. Address: Coastguard Lookout, Portloe, Truro, Cornwall, TR2 5RD. West Sussex Nicked After Auction? FTSAA – Failed To Sell At Auction – Possible bargain time. Negotiating for an old nick. 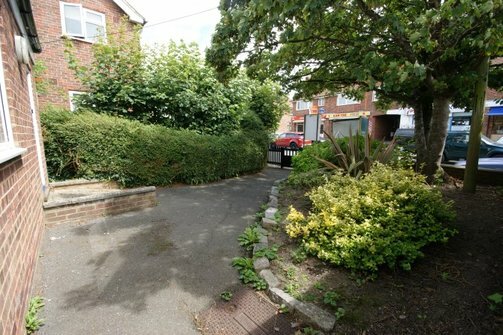 The property is situated in the popular village of Ferring, approximately 4 miles west of Worthing town centre. 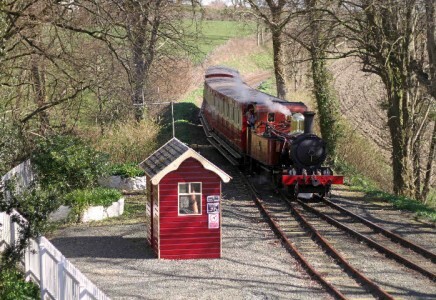 Goring by Sea railway station is a 15 minute walk away. The building’s frontage is towards the busy thoroughfare of Ferring Street with the parade opposite home to a number of local retailers including Ferring News and John May Butchers. 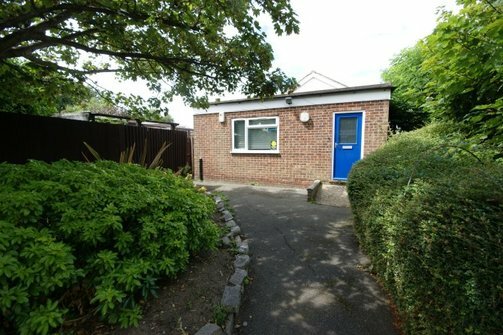 A freehold single storey brick built building formerly used as Ferring Police Station. To the front is an open area with a pathway and some planting however it could be used to extend the building line and increase the accommodation. 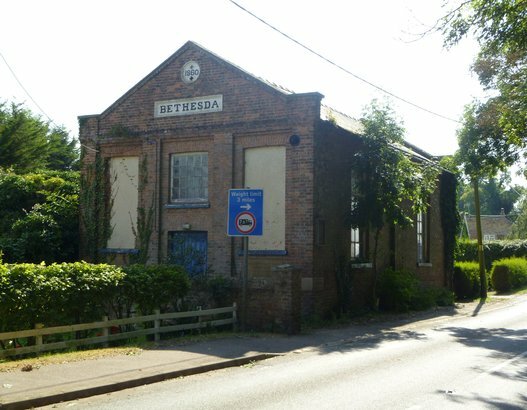 The property would suit a number of uses and would be ideal for an owner occupier looking for office/workspace, a small retail unit or residential conversion. The internal accommodation provides approximately 200sqft of space to include a wc and wash basin. Contact: Click Here. 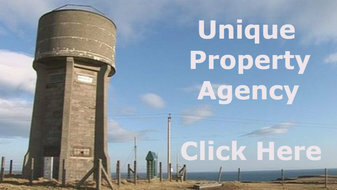 For this old police station for sale, please can folk make first approach via Unique Property Bulletin. We are then able to demonstrate to the estate agents selling each property that our not-for-profit websites help their clients, and in so doing can encourage them to support the Bulletin. We monitor our email inbox at least three times per day, so will make the introduction for you promptly. By helping us this way, we can continue to help you. A virtuous circle. You might ask: Why would that affect me? Apart from an obvious answer that you may receive parcels quicker, there is a much more profound reason why this tangential direction of travel will have a positive impact on the majority of people seeking to live in a unique property. Answer to this unique thought enigma later in the Bulletin. This magnificent looking chapel located in the village of Trefriw, and priced to entice. 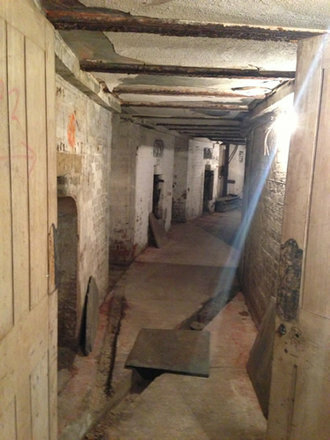 The property is in need of need of renovation. Would make an amazing home, subject to obtaining the appropriate change of use planning permission etc. Has a vestibule, large nave with sublime stained glass windows; reception room and w/c on the ground floor. 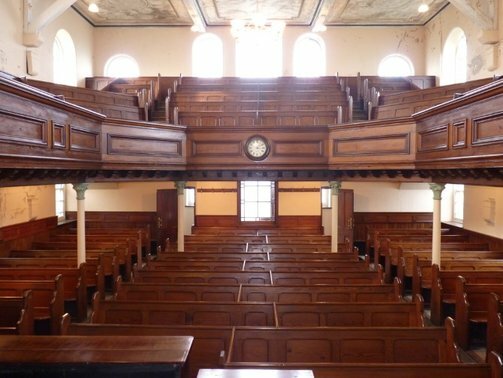 Gallery and seating on the first floor, with a spacious open plan room on the basement level. 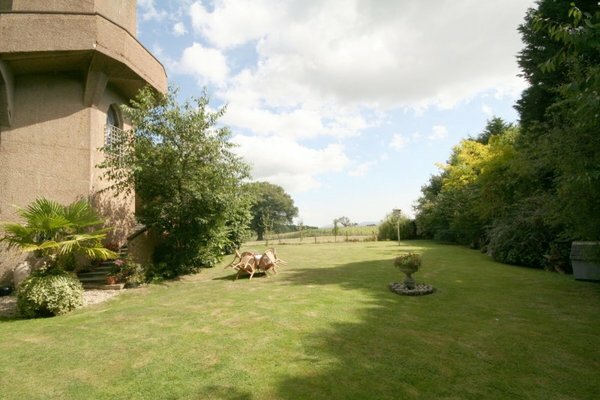 Surrounding the property are gardens and to the front, countryside views. Trefriw lies on the edge of Snowdonia, on the B5106 road to the north-west of Llanrwst, and about 4½ miles north of Betws-y-coed by road. It is located on the western slopes of the glaciated Conwy valley, below the ridge of Cefn Cyfarwydd. BEWARE: Buyers Administration Auction Fees: £594 plus Buyers Premium: £900. This really is a bit naughty and should be discouraged. Buyers hate this way of levying fees. Sellers pay more than enough in commission in the first place. Contact: Click Here. 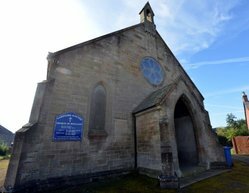 For this former chapel for sale, please can folk make first approach via Unique Property Bulletin. We are then able to demonstrate to the estate agents selling each property that our not-for-profit websites help their clients, and in so doing can encourage them to support the Bulletin. We monitor our email inbox at least three times per day, so will make the introduction for you promptly. By helping us this way, we can continue to help you. A virtuous circle. 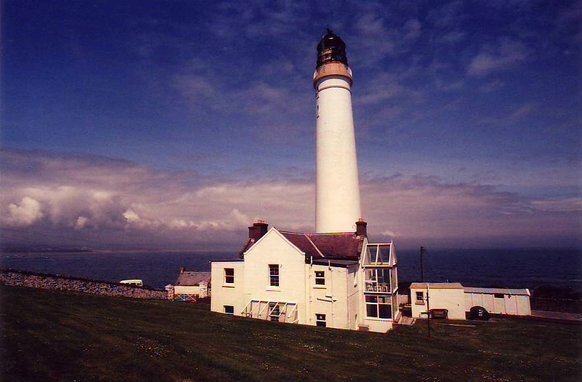 Seriously, Trinity House Lighthouse Board refused permission twice to the builder (here). The first objection was against a request to put clock faces on the four sides. The second refusal was for the installation of electric lighting throughout the building. In both cases the grounds for refusal were that such installations would be a hazard to shipping. Elegant Interior Rooms. Surprise: High Ceilings. Though if Shakespeare’s Romeo were replicating the balcony scene with Juliet at this location he might have a problem and it may compromise the dramatic flow if he needed to call Hampshire Fire Brigade to help out with a very long ladder. The general accommodation is of high standard and includes: 4 bedrooms, 3 en suite bath/shower rooms, sitting room, drawing room, dining room, kitchen, conservatory, swimming pool, tennis court, extensive garaging, gardens and grounds of approximately 0.7 acre. The property has an intriguing provenance and is (or was) the worlds tallest unreinforced concrete structure. Built over a course of a number of years (1879 – 1885) by Andrew Thomas Petersen who, having served in the Colonies as a renowned High Court Judge in India, on retirement returned to the United Kingdom to prove the versatility of concrete as a sustainable building component. The Tower forms the centre piece of his then Arnewood (Drum Duan) Estate. Left Your Car Keys On The Top Floor? 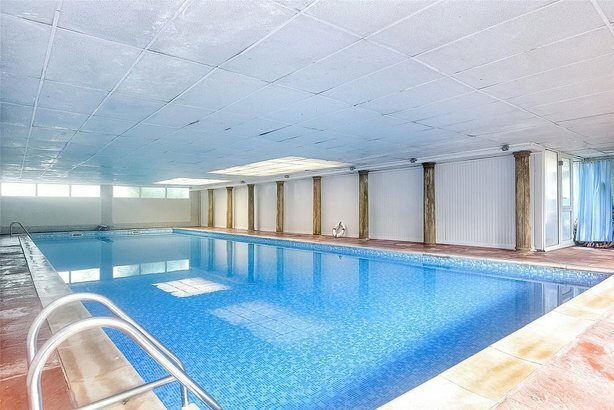 Set in a mainly lawned walled garden, the property features a fine enclosed heated swimming pool, a tennis court and an extensive range of garaging with a sizable home office. The property, with influence from the Indian continent, is constructed of rough cast Portland cement with sand and gravel, much of which was locally sourced from the beach and from Silver Street Farm, marginally located to the beach. The accommodation comprises a crucifix ground floor that provides for a characteristic dining hall, sitting room and kitchen with a gardenside conservatory. To one side, a spectacular octagonal tower features a turning stairwell ascending a total of 14 floors topped with a distinctive cupola. The first 4 floors each contain a bedroom with en-suite bathroom. The remaining floors left unoccupied save for 3 of the upper floors currently let to various telecommunications providers as an obvious site for their transmitters. If you study Google maps (link below), this tower casts a shadow like a gigantic sundial. A hidden aspect of how impressive the building is. Guide: £POA – Missing out a guide price on particulars is really annoying. In our experience failure to place a price on estate agency brochure costs sales. We understand the reason why people prefer to retain privacy and that should be respected, but in the open source HM Land Registry system now, it is very difficult to keep these numbers private. So why lose buyers and end up with less than you sought because the law of supply-and-demand have scuppered your original price wish. C’est la vie. Contact: Click Here. 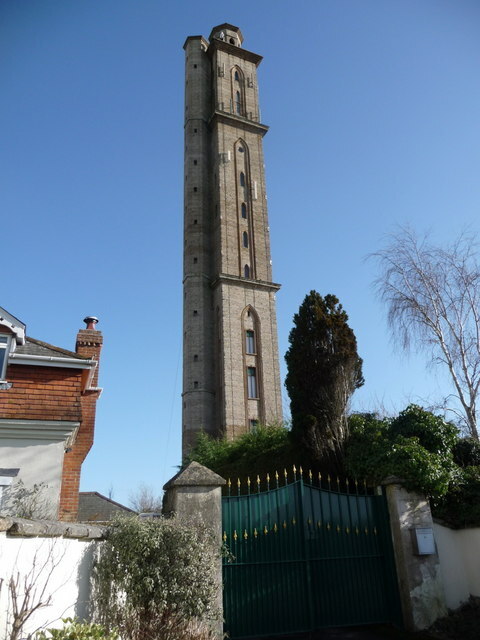 Please can folk make first contact via Unique Property Bulletin regarding this tower for sale. We are then able to demonstrate to the estate agents selling each property that our not-for-profit websites help their clients, and in so doing can encourage them to support the Bulletin. We monitor our email inbox at least three times per day, so will make the introduction for you promptly. By helping us this way, we can continue to help you. A virtuous circle. Help and assistance now received with much appreciation. Thanks. Google Adsense or WordPress AdWord Coding? Computer Literate? Please Can You Help Us? Our way of saying thank you for saving old and scarce brain cells. Please can you help us? If you have the skillset to help, please get in touch? 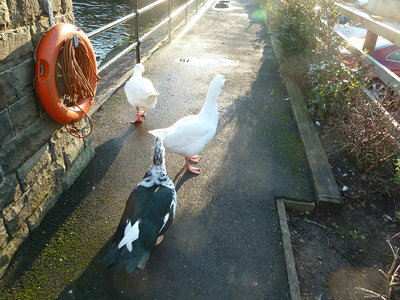 For reasons of security we can only accept general assistance from established readers. This is to ensure coding security and integrity. A thank you to one of the brilliantly helpful unique property sleuths from a dozen locations around the country. Sending these properties into the Bulletin to share with everyone else is an ethos we love. Long may this continue. 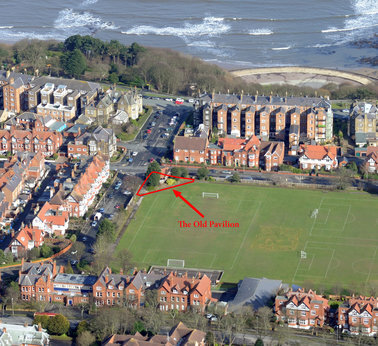 The current planning consent for the Old Pavilion was granted by local authority in November 2015. 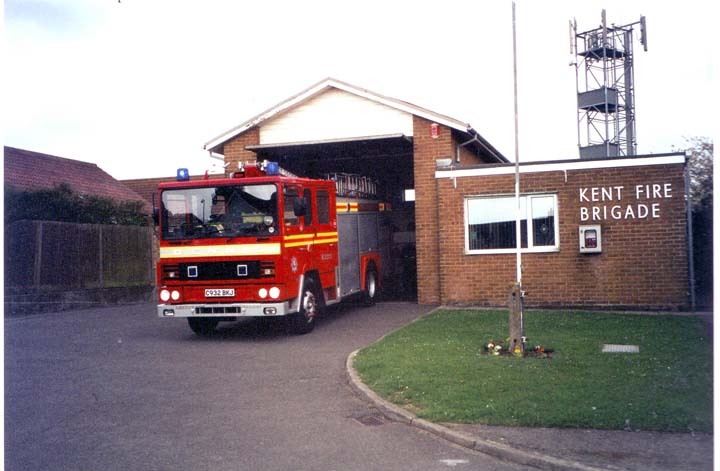 This included demolition of the existing building and development of two semi-detached houses. Planning Reference 13/02594/FL. This consent is subject to a S106 Agreement which requires payment of a commuted sum of £11,150 towards affordable housing off-site, plus a £557.50 monitoring fee to the Council for this process. It always seems sad to lose buildings such as this – it has character and architectural history. Also by the looks of things, quite a bit of local provenance to many in the surrounding community. Perhaps a revise planning application to keep the old building and renovate might be on the cards? 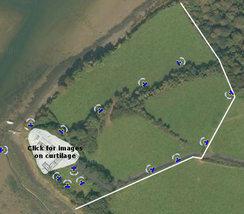 Whatever else, the site seems to be a cracker, and not too far from the sea either. Guide: £150,000 PLUS conditional planning caveat payments if current process progressed. Contact: Click Here. 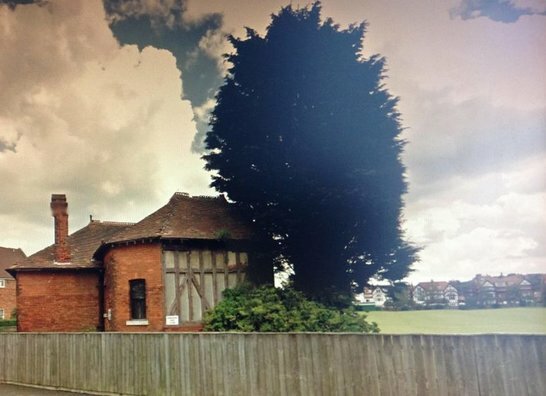 Please can folk make first approach via Unique Property Bulletin in relation to this old pavilion for sale. We are then able to demonstrate to the estate agents selling each property that our not-for-profit websites help their clients, and in so doing can encourage them to support the Bulletin. We monitor our email inbox at least three times per day, so will make the introduction for you promptly. By helping us this way, we can continue to help you. A virtuous circle. 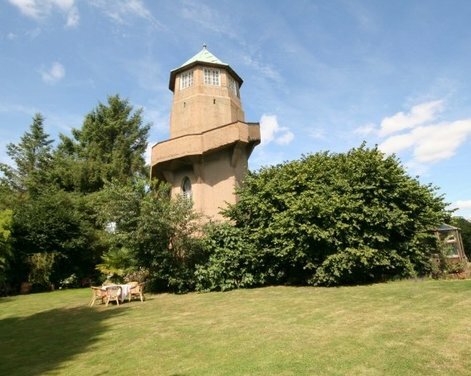 Please note, this unusual house is NOT currently for sale. It is featured so that readers who enjoy this flavour of abode can stay a few nights to see if they like it, and it likes them. Especially if you are looking for something in your location. 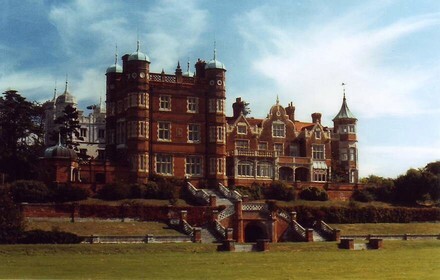 Former RAF Bawdsey Manor. Almost The First Unique Property Syndicate! 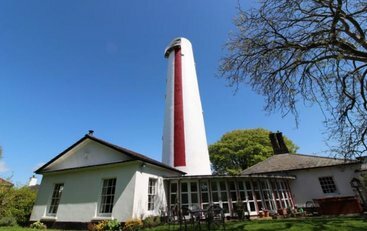 One of our original unique property club members has just tipped us the nod that the former RAF Bawdsey – and manor estate may be coming up for sale. 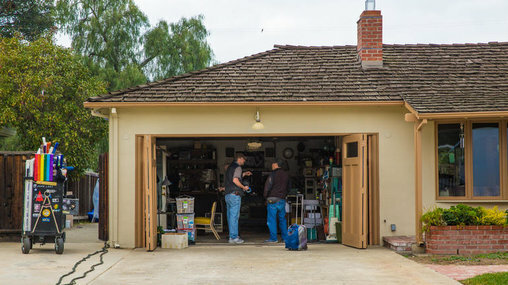 This is 22 years after we assembled what would have been the very first unique property syndicate. Back then £100,000 was a lot of money. Ten of us joined up, each with £100k, to buy this Leviathan and mustered just over a million pounds into the kitty between us all. However, we were outbid by the current owner. 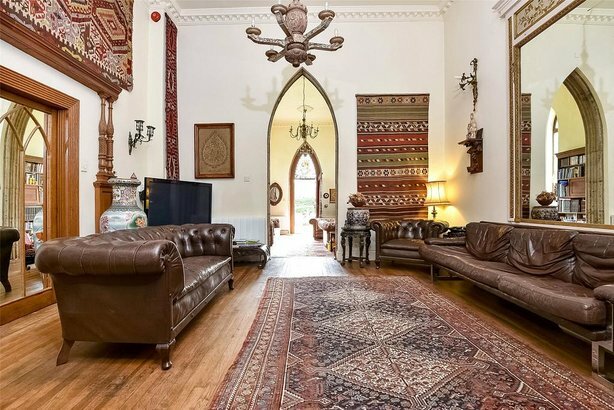 Magnificent Suffolk Manor House: Candidate Syndicate Property? That would have been an epic first syndicate, but hey, we’ve nothing to complain about as the results of other property club projects have been just as enjoyable and rewarding. Even so, we know this part of Suffolk very well and are preparing to revisit a second bite at the cherry. Care to look at how things go? 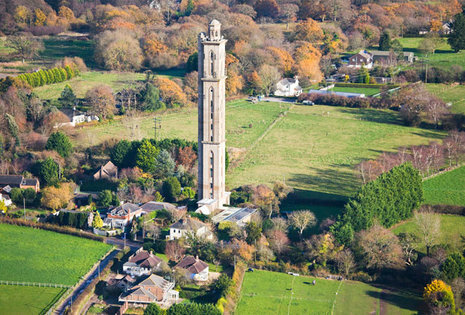 A genuinely unique, grade II listed former water tower located in a peaceful, rural setting close to the South Downs and with far reaching views over the surrounding countryside. Set in grounds of about 3.25 acres. Designed by Maxwell Ayrton, the architect who designed the original Twin Towers at Wembley Stadium, and is constructed of reinforced concrete with an external ‘helter skelter’ staircase and a polygonal roof. It was constructed as an ornamental folly/water tower, with an observatory, in about 1930 for Sir Arthur Howard as part of the Wappingthorn Estate. The accommodation within the hexagonal external walls is smoothed for internal aesthetic – creating circular rooms inside. The ground floor is arranged as a kitchen/family room, with a fitted kitchen and includes a wood burning stove, with a shower room to one side. There is a charming bedroom on the first floor with a Juliet balcony, on the second floor a void is where the water was stored (considered to have potential to create additional accommodation, subject to all the necessary consents) and on the third floor is a stunning octagonal observatory with large casement windows and the most spectacular, 360 degree, far reaching views over the surrounding countryside, to the North and South Downs and Chanctonbury Ring. 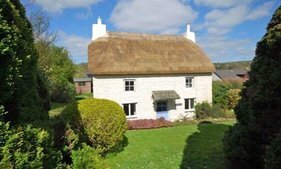 A single storey timber clad cottage provides additional living accommodation, including a sitting room, kitchen, 3 bedrooms and a bathroom. Contact: click here. 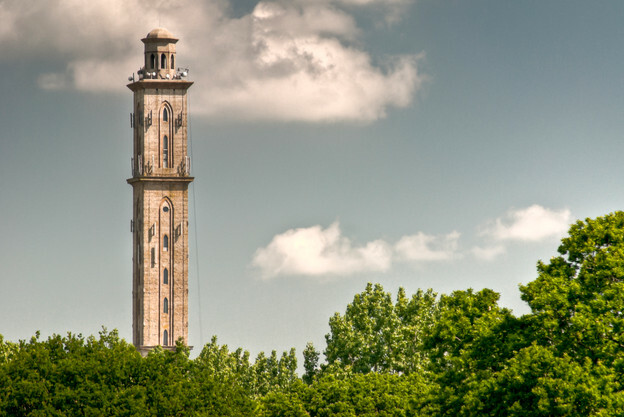 For this tower for sale, please can folk make first approach via Unique Property Bulletin. We are then able to demonstrate to the estate agents selling each property that our not-for-profit websites help their clients, and in so doing can encourage them to support the Bulletin. We monitor our email inbox at least three times per day, so will make the introduction for you promptly. By helping us this way, we can continue to help you. A virtuous circle. 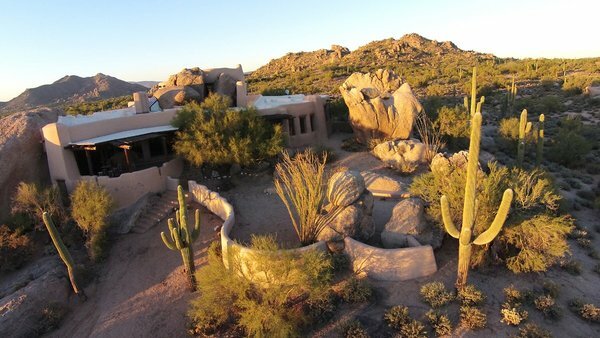 This edition we have a short film featuring inspiration from abroad amongst the huge boulders of Arizona. This is a pretty amazing house. Recently for sale, but currently off of the market. Not sure if there are any locations in the UK where something like this would suit the area, but it is definitely something to stick into the ideas bank. 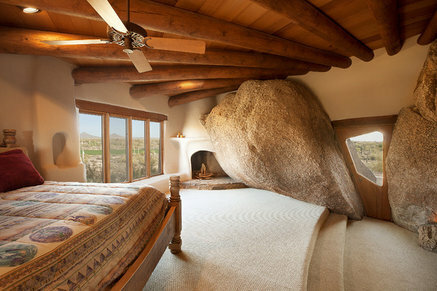 This is definitely a unique property. Modern and contemporary living mixed in to one. 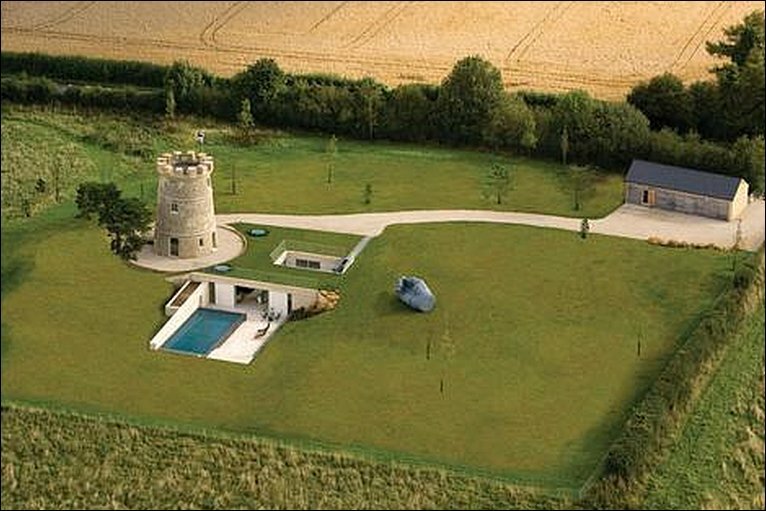 Understood to have been a former hunting lodge, windmill and castellated folly. The original round tower dates back to the 18th Century and was originally owned by the Bathurst estate. The property has been conveniently laid out to suit modern day living with a large open plan kitchen, dining and sitting room that is very much the heart of the home. There is a media room on the lower floor of the tower with reception hall, two bedrooms of which one has an ensuite shower room with roof terrace above. 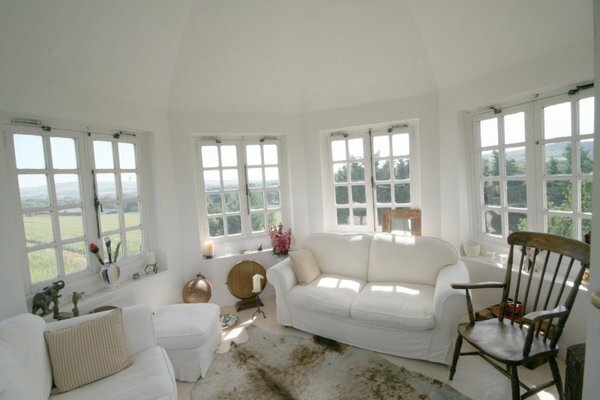 Atop the tower there are fine and far reaching views across the surrounding countryside and Cirencester beyond. There are two further bedrooms on the lower floor both ensuite shower/bathrooms, with the master suite having a walk-in wardrobe. Specifications throughout the house are the highest of quality with wireless lighting system allowing one touch operations for numerous effects. Zoned security and home entertainment systems are in place with enhanced media coverage and viewing to name a few. 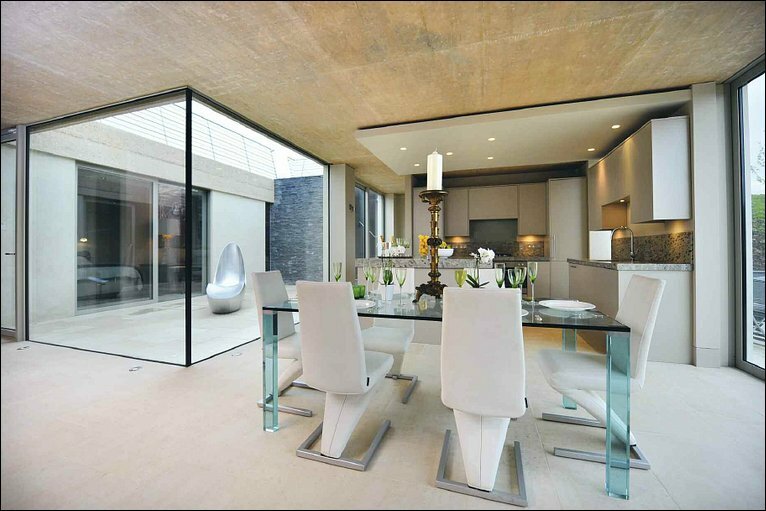 Limestone, oak, marble, slate, stainless steel and glass have all been used to remarkable effect. 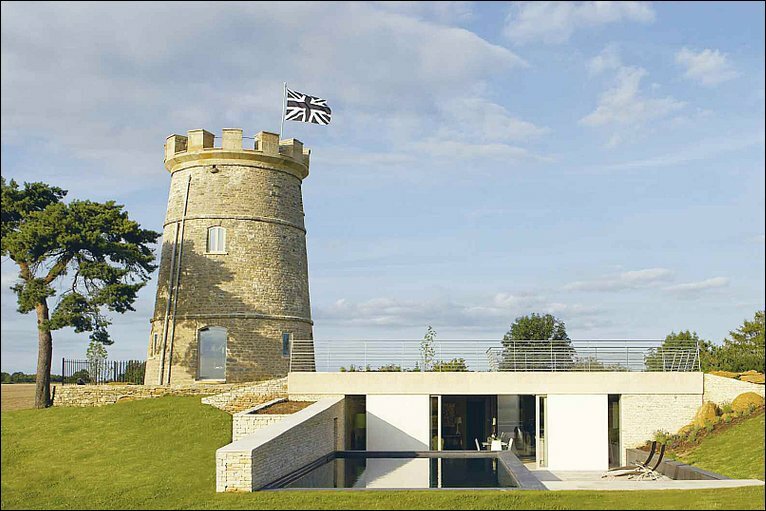 This castellated home stands in open countryside between the Cotswold villages of Siddington and South Cerney. Nearby Cirencester is in easy reach and has a range of everyday shops and services as well as a number of boutique retailers, well known pubs and restaurants and specialist stores. 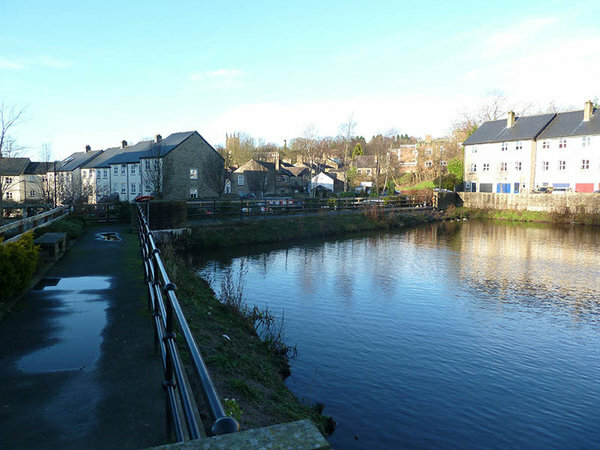 Siddington is a popular village with a pub, village hall, primary school and village shop/post office. Cirencester is conveniently about 1 mile’s drive and has an excellent range of shops and services as well as restaurants, bars and hotels. The main regional centres are Cheltenham, Bath, Bristol, Swindon and Oxford, all of which are within daily commuting distance. Contact: Click Here. 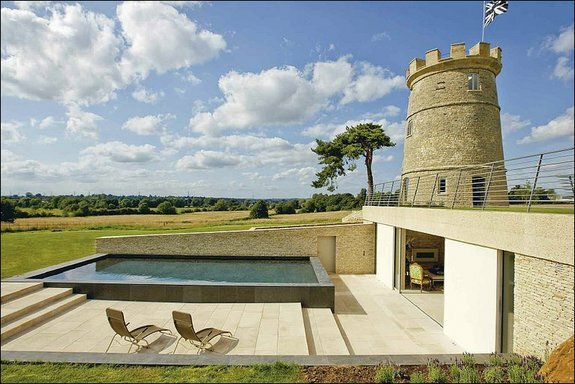 For this round tower for sale, please can folk make first approach via Unique Property Bulletin. We are then able to demonstrate to the estate agents selling each property that our not-for-profit websites help their clients, and in so doing can encourage them to support the Bulletin. We monitor our email inbox at least three times per day, so will make the introduction for you promptly. By helping us this way, we can continue to help you. A virtuous circle. 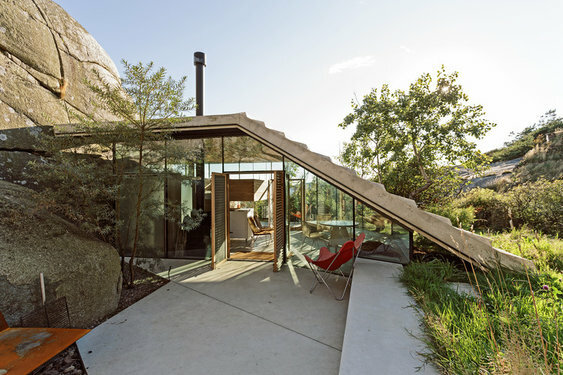 I think that this piece of architecture appeals so much, because it blends in and is fits so well with the rocks and surrounding natural environment. It is almost an enigma. Can’t quite explain the appeal. Would welcome your views on whether it ticks boxes for you? Contact us here. To study more about this architect’s style, click here for a head start. This Unique Property Bulletin feature is very much a “before” and “after” piece. 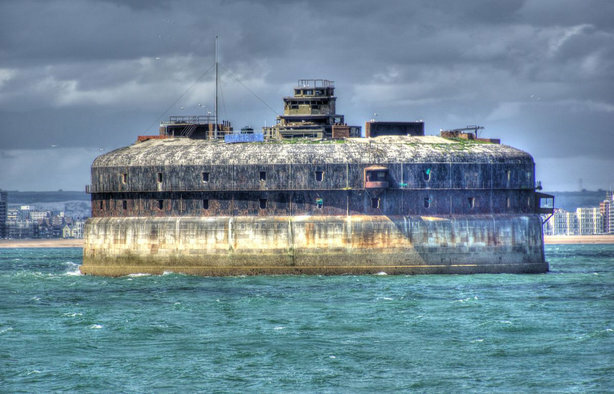 For sale is a near derelict old Solent fort requiring a lot of work. This is the “before” property we are featuring. It is currently available to buy. 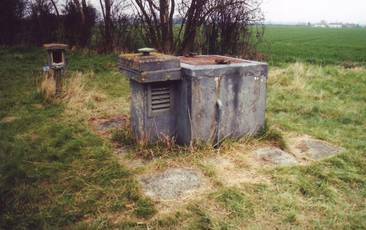 The “after” element to this feature is nearby Spitbank Fort which has been completed. It is renovated to a very high standard and now operates as an amazing hotel. Spitbank is NOT for sale, but it is very well worth a visit. Not just for interest and inspiration, but the sublime pleasure of enjoying time on a genuinely unique location. 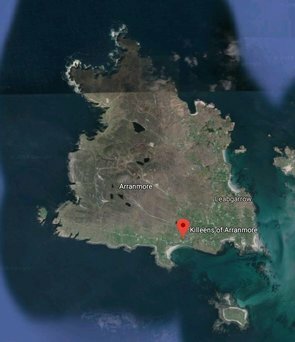 Though whether it remains unique in the strictest sense is open to debate – if Horse Sand Fort becomes a similar hotel restoration to Spitbank, then there will be two near identical properties, so technically not as unique as might otherwise be the case. But we are splitting hairs. From our perspective the ideal for Horse Sand Fort would be to renovate it into what the lapsed planning permission of 2004 specified: Consent granted for the creation of 14 luxury apartments. We are tempted to suggest perhaps revising that planning permission to accommodate 28 modest apartments. But there is an elephant in the room whatever the new owner does. One word: cost. There is a reason that our multi-millionaire friend, Mike Clare and his Clarenco Group (here) are selling Horse Sand Fort. We aren’t exactly sure of the details. Mr Clare can certainly afford to renovate Horse Sand Fort. No doubt there is a story behind his decision to sell. For now, the reason Horse Sand Fort is being sold is unknown. But it does open up an exciting opportunity for somebody, or even a group of folk. 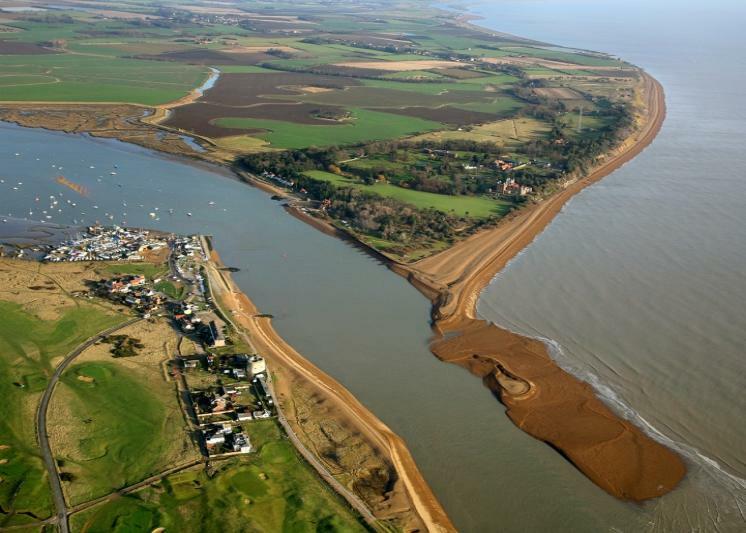 Currently Horse Sand Fort is for sale at £875,000. 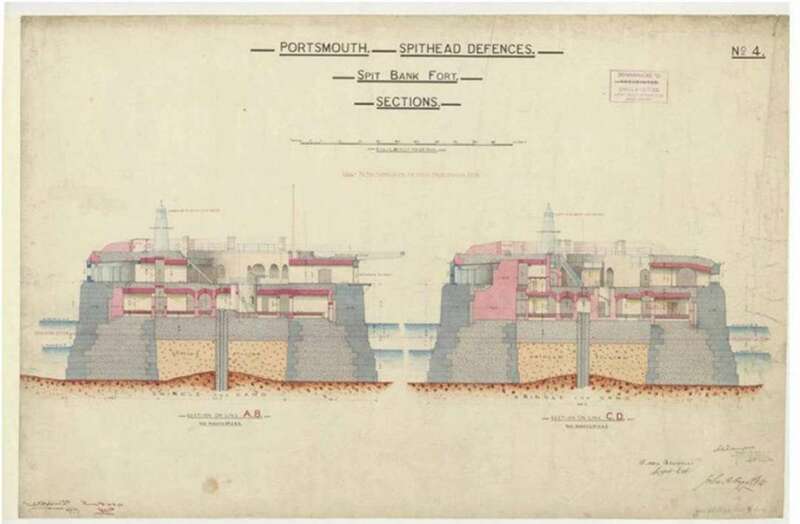 Just out of curiosity we checked to see the original build costs for these amazing structures: Spitbank Fort was the first to be completed in 1878 at a figure of £167,300. 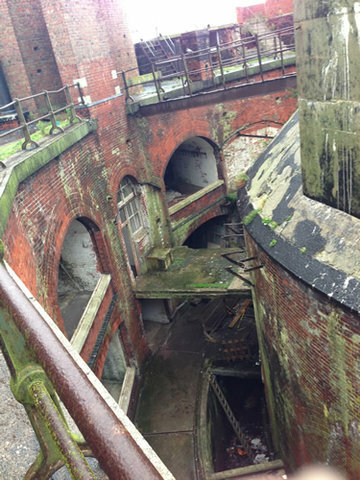 St Helen’s Fort followed with a price tag of £123,311. No Man’s Land Fort and Horse Sand Fort were both finished in 1880. Because the latter two forts were situated much further offshore, they were also more expensive – Horse Sand cost £424,694 to build in 1880. That is 136 years ago. 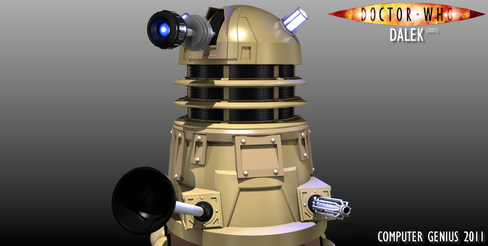 Today some algorithm’s have the equivalent build costs of £424,694 (1880) at £38 million (2016) here. No Man’s Land a further £462,500. Anyone care to work out what the 2016 cost of building Horse Sand Fort would be? A prize copy of Unique Property Manual for the best answer (click here to enter). We have considered a unique property syndicate bid for Horse Sand Fort, but our rebooted property club is not yet back up at the heady times when a million pound purchase could be rustled up in a week or two. We reckon it will take a huge sum of money to bring Horse Sand Fort back to meaningful life, but anyone who visits it’s neighbour at Spitbank will see how beautifully these projects can be managed. If you do take a visit, and especially if you bid on Horse Sand Fort, please let us know (click here)? We have a television company keen to chat with you and feature the renovations on the small screen for millions to join in with you. 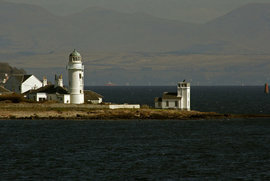 This adjacent island fort at Spitbank is not for sale, but you can holiday as it is a popular luxury holiday retreat. Also get a pretty good idea what potential lays within the circumference of the impressive masonry walls of Horse Sand Fort which is for sale at this time. Whether you can manage a similar endeavour at neighbouring Horse Sand Fort, is the big question. Are you ready to jump in at the deep end with a major multi million pound renovation project? Alternatively if/when smaller flats are available for sale at Horse Sand Fort, then that may well be something many of us can afford. If you do end up buying Horse Sand Fort, please consider getting in touch with us here at Unique Property Bulletin. We would love to know how you get on. 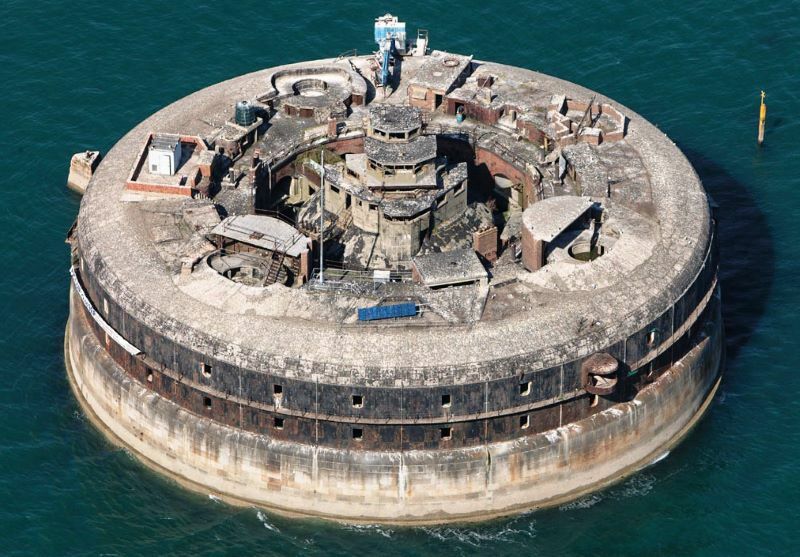 with this incredible island fort. 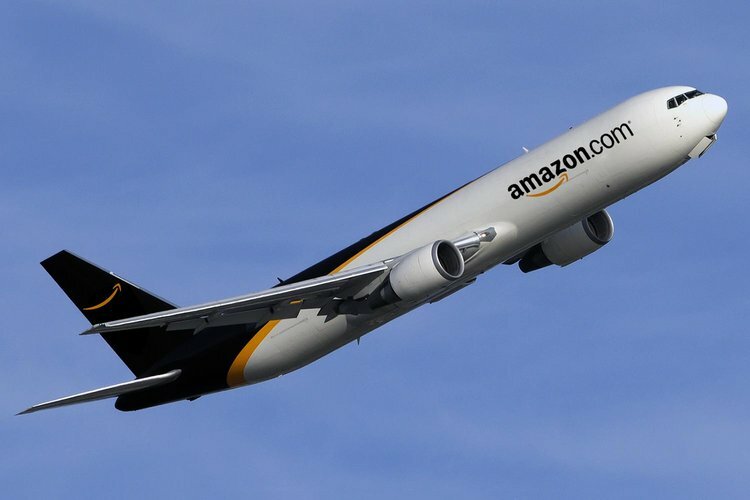 Earlier we floated the brief subject of Amazon leasing dozens of cargo planes (here) and how this might affect you. 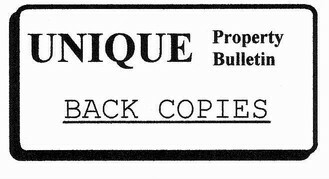 About 25 years ago when Unique Property Bulletin was in it’s infancy, a major obstacle that blocked the path of many of our readers who wished to move into an unusual home was work. How to commute from a place of employment, often located in a major city or large town – to that beautiful, but often remote idyll. Most of us need to earn a living. Even those who are financially independent risk going insane if a life of indolence is followed. We know having seen friends have serious problems when there is less and less with which to fill their days with after retirement (and that includes the lucky ones who retire at 45). So our point? 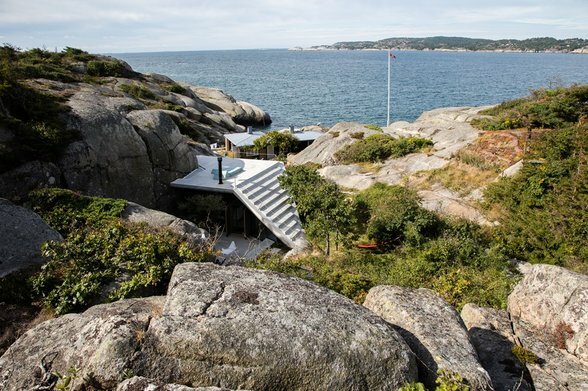 A significant answer to the dilemma of living in a unique home, for example, a remote lighthouse and how to earn a living, or how to undertake a meaningful vocation now has a very big answer? E-commerce. Just spend half an hour seeing the trends – huge companies that didn’t exist 25 years ago when we were trying to figure out the answer of a question many readers kept asking us – how to live and work remotely. 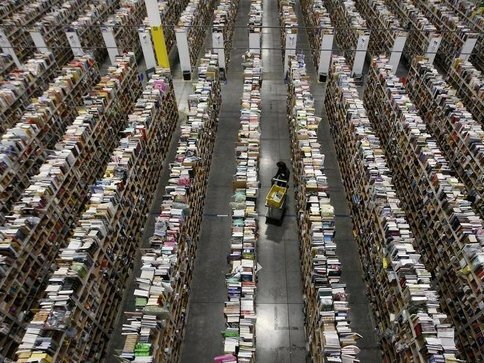 It may have taken us a while to prove it – okay 25 years is a little long to answer the question – but here is just one anecdotal illustration: On 5th July 1994 Amazon was established. Now, 22 years later it employs 268,900 people in 2015 declared an income of US$107 billion. That’s billion with a ‘b’, not million with an ‘m’. Next Full Edition At 9pm, 6th November 2016.